Following the first sales of its new flagship device, the Lumia 800, Nokia has released an update for its Nokia Music software. The most exciting part of it is the launch of a Pandora-like service by the name of Mix Radio. Thanks to a partnership with The Echo Nest, Nokia can now offer personalized radio stations, curated to the specific tastes of their users. With Mix Radio, you can enter up to three artists you like, and watch as a brand new radio station is created just for you, with what we can hope are songs you will love and enjoy. 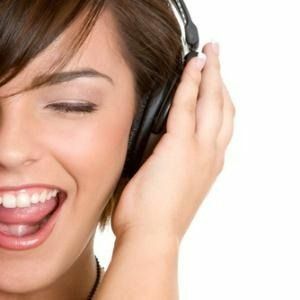 The service can also use the metadata from your existing songs to automatically compile a new music station according to your tastes. This is very good news for Lumia owners, especially those who are not able to use services like Pandora. Nokia Music is Nokia’s official music software, and includes a store, lots of pre-programmed radio stations and a gig finder for live shows. The music stations can be downloaded for up to 15 hours of offline listening, so a constant Internet connection is not a must with Nokia Music. The service is pre-installed on all Lumia 800 devices, and will be available with Lumia 710 as well. Will this new service give you that extra push towards Nokia? Or are you still not convinced?